Have you been in a Semi-truck accident? Statistics estimate that there are 15.5 million commercial trucks (2 million of those tractor-trailers) operating in the United States. While this number only accounts for approximately 5% of motor vehicles, semi-trucks account for over 12% of motor vehicle fatalities. An estimated 80,000 injuries and 4,000 deaths occur each year in accidents involving semi-trucks. In most instances, it is the occupant(s) of the other vehicle(s) involved in the accident that suffers injury or dies. 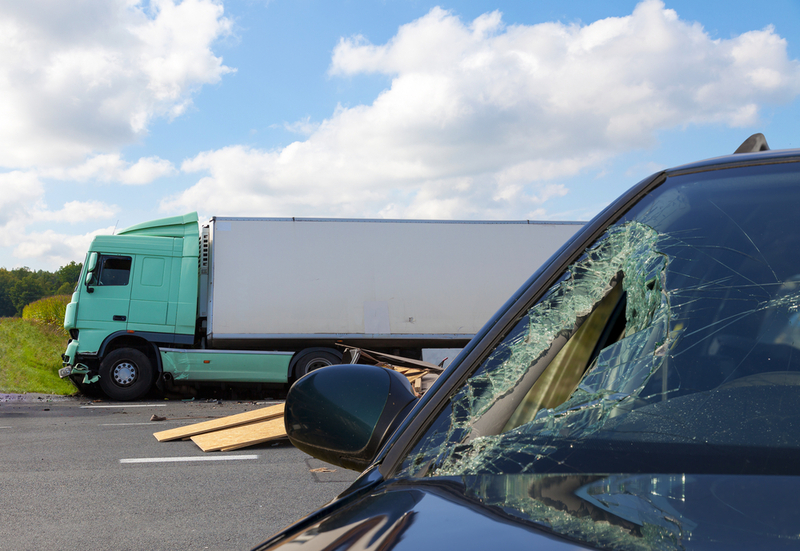 Investigating and litigating a motor vehicle accident involving a semi-truck is much more complicated than an accident involving standard vehicles. Semi-trucks are under different federal regulations, involve more complex technology, and are insured differently than standard vehicles. Trucking companies are known to send their own investigative teams to crash sites immediately to begin gathering information to protect the interests of their driver and the company. So, if you have been involved in an accident with a semi–truck, it is imperative that you quickly seek the help of an experienced lawyer to help protect your interest. The information gathered from these actions could play a vital role in the outcome of your case. The attorneys at Brock & Stout have years of experience handling accidents involving commercial vehicles. We understand the complexities and know how to help protect your interest. There is no upfront cost for our assistance. We do not charge anything unless we win your case. Contact us if you would like a free appointment with one of our injury attorneys.